Injures Galore, Does Dallas Stand A Chance Against The Patriots? | NFL News, as it happens, when it happens. Your one stop shop. 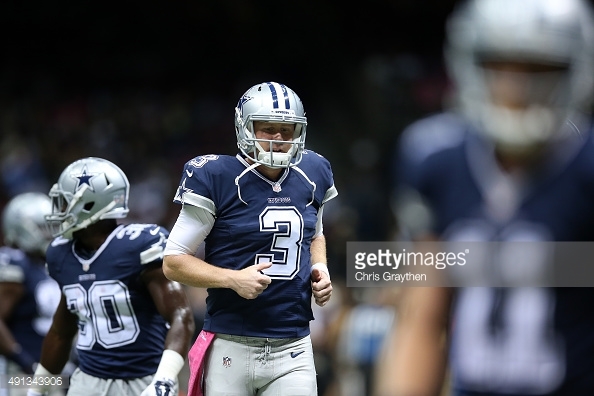 Injures Galore, Does Dallas Stand A Chance Against The Patriots? On Sunday fans will eagerly pack into the AT&T stadium in Arlington, Texas to witness a week five match up of epic proportions. Coach Jason Garrett’s Dallas Cowboys will welcome Coach Bill Belichick’s New England Patriots in what is sure to be an epic nail biter. Future Hall of fame Quarterback Tom Brady will need everything in his arsenal to take down Quarterback Brandon Weeden and the vaunted Dallas Cowboys offense. Wait….what? For those looking for a battle between highly touted gunslingers Tom Brady and Tony Romo on Sunday accompanied by an all star cast, might I suggest reviewing their match up from October 17th ,2011. On October 11th, 2015 former Browns’ quarterback Brandon Weeden will be under center in a matchup which many feel has lost some of the shine which was promised when the NFL schedule was initially released. Brandon Weeden had little success in Cleveland and is in no way an all star but will do his best to keep the game under control. Sadly for Dallas fans, Romo’s broken clavicle is not the only injury to disappoint those looking for a more heated match up. Cowboys’ star wide receiver Dez Bryant who injured his foot earlier in the season, has yet to return to the field, leaving Weeden to throw to the likes of ester while receivers, Lucky Whitehead and Devin Street. In other areas of discontent, Dallas can’t rely on star running back Demarco Murray as they traded that particular Eagles free agency disappointment months ago. Running back Lance Dunbar could have been a formidable option to run a tear through what is seemingly a Patriot’s defensive line that has trouble stopping runs, but sadly he went down with a knee injury. The offensive line has not looked as good as it had during last season either but let’s be fair it isn’t solely to blame for Dallas’ recent poor play, although it surely hasn’t helped. One apparent bright spot on the offense for Dallas however, is that all-pro Tight End Jason Witten seems to be in top form this season and will require some efficient game planning to upend. On the other side of the ball, the Cowboy’s defense looked awfully weak during their encounter with the New Orleans Saints. In yet another unfortunate injury, linebacker Sean Lee was forced out of the game during the first half with a concussion. If Lee is unable to play on Sunday it will be an exceptional loss as he was currently the Cowboys leading tackler. On the bright side, two suspended players should be making their return to the NFL, and their presence should be able to beef up the defense a bit. Defensive End Greg Hardy will be making his debut for Dallas after serving a suspension for violating the NFL’s personal conduct policy. Hardy, who last played for the Carolina Panthers, originally had a 10 game suspension for knocking around his girlfriend and slamming her on to a bed full of semi automatic weapons, but the NFL dropped his suspension to four games in an appeal. Linebacker Rolondo McClain will be returning from a four game substance abuse suspension and like Hardy is expected to make an immediate impact lifting this defense up and making them a force to be reckoned with. Perhaps the largest case of unfortunate situations to ravage Dallas is the fact that Tom Brady is not suspended and will in fact be playing. Dallas owner Jerry Jones was one of a handful of influential owners pushing Roger Goodell to uphold Tom Brady’s suspension for being generally aware of footballs being deflated during last year’s Deflategate debacle. 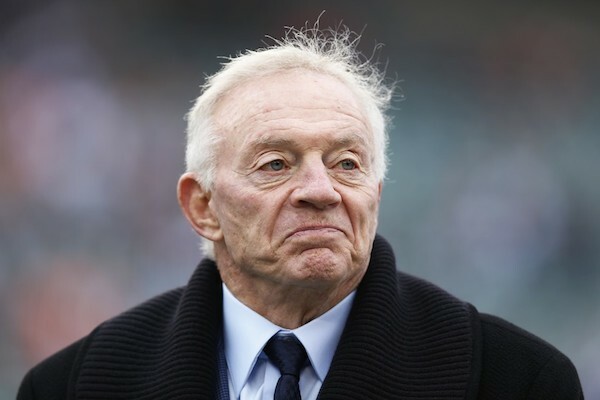 The fact that Jerry Jones pushed for Patriot’s owner Robert Kraft to be a man and accept his ridiculous and overblown punishment for the “good of the NFL”, will not be lost on the New England Patriots or their fabled Bulletin Board. Tom Brady, with the help of offensive juggernauts such as Rob Gronkowski, Julian Edelman and rising star Dion Lewis have been on an absolute mean streak as of late destroying their first three opposing teams in epic fashion .On paper, Dallas looks to have very little that can put a stop to the New England Patriots and their “Scorched Earth Tour”. Don’t throw a “W” in the win column just yet, if the NFL has taught us anything over the years it’s that players facing the most adversity often rise to the occasion. Sunday may just prove to be one of those odd occasions where David beats Goliath.